Tacos, am I right? 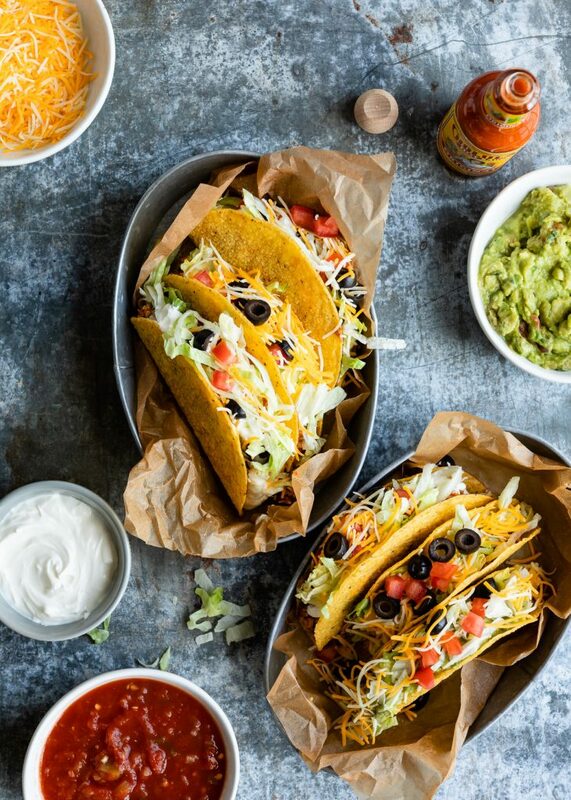 I have yet to meet anyone who doesn’t go gah-gah over tacos. While tacos are taking over Instagram and well, the world, how can we forget the classic hard-shell taco of our youths? 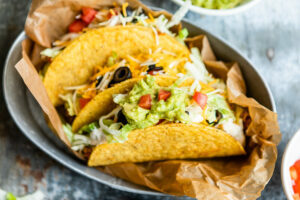 Long before Taco Tuesday was even a thing, families gathered around the table for the Americanized version of the Mexican street food classic. These Old School Tacos are SO good. 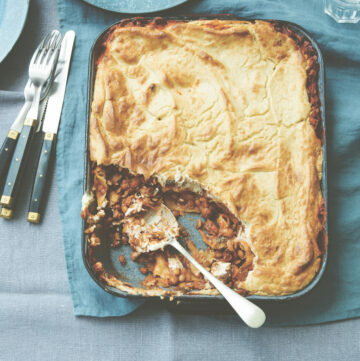 Like, you’ll want to make them weekly. 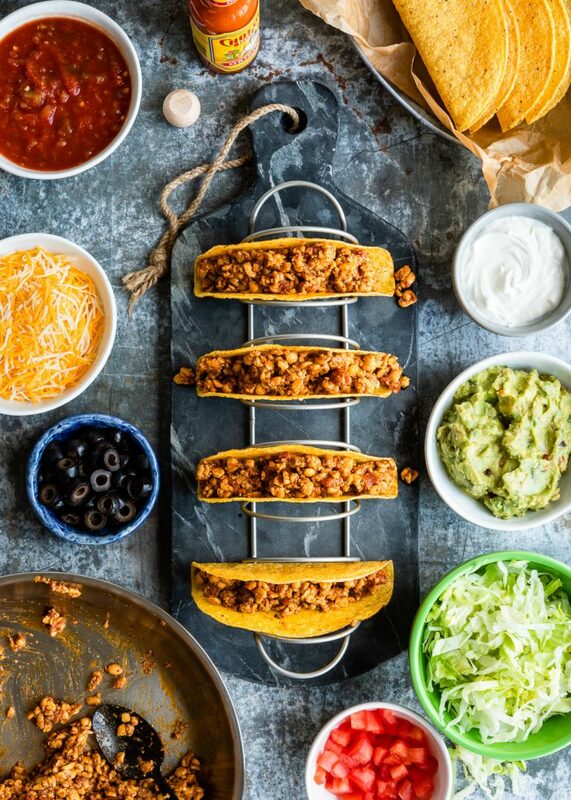 The crispy shell, the perfectly spiced crumbled tempeh filling, the piles of toppings – what’s not to love? Tempeh is one of the greatest meat subs out there. It’s a bit of a chameleon like tofu, but with a totally different texture and flavor all its own. It lends itself well to many cuisines. 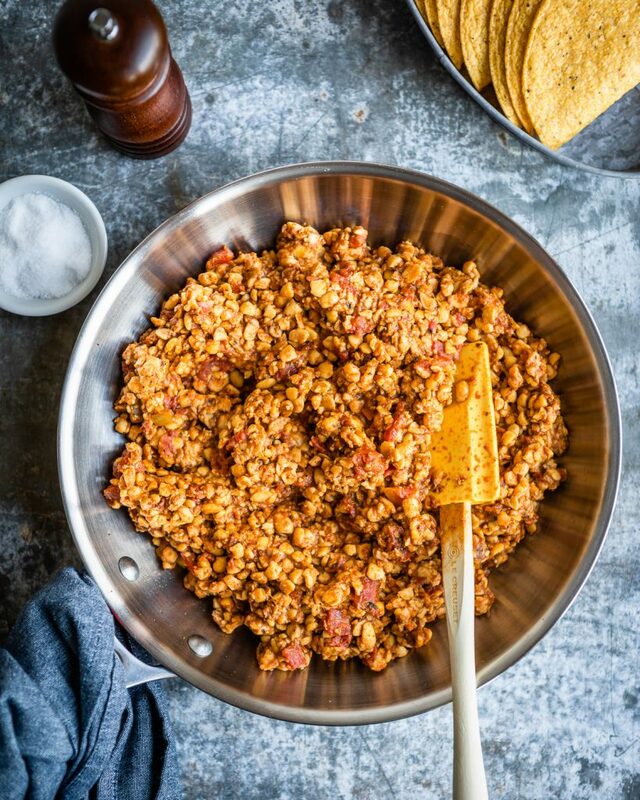 I often reach for tempeh to use in Mexican recipes where ground meat is typically used. Crumbled tempeh has a great toothsome texture. Tempeh readily absorbs flavors and benefits from being marinated. 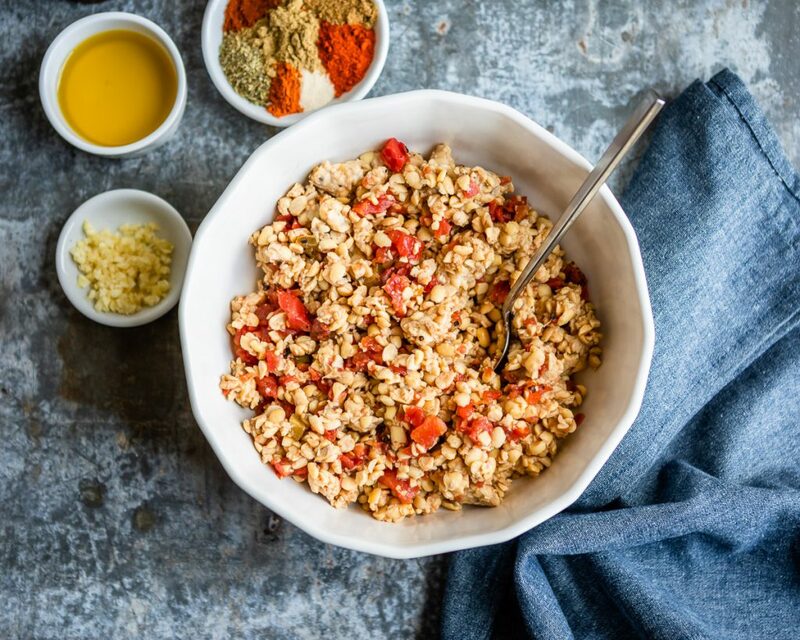 In this recipe, the crumbled tempeh is combined with coconut aminos (or soy sauce) and fire-roasted tomatoes with green chiles. That extra step adds loads of flavor to the tempeh. The mixture of fresh garlic and an array of spices are toasted in hot olive oil, then the tempeh mixture is added to the pan and heated thoroughly. Add a pinch of cayenne if you like and it’s ever-so-spicy. The kind of heat that makes you sweat a little bit, but doesn’t numb your tastebuds. 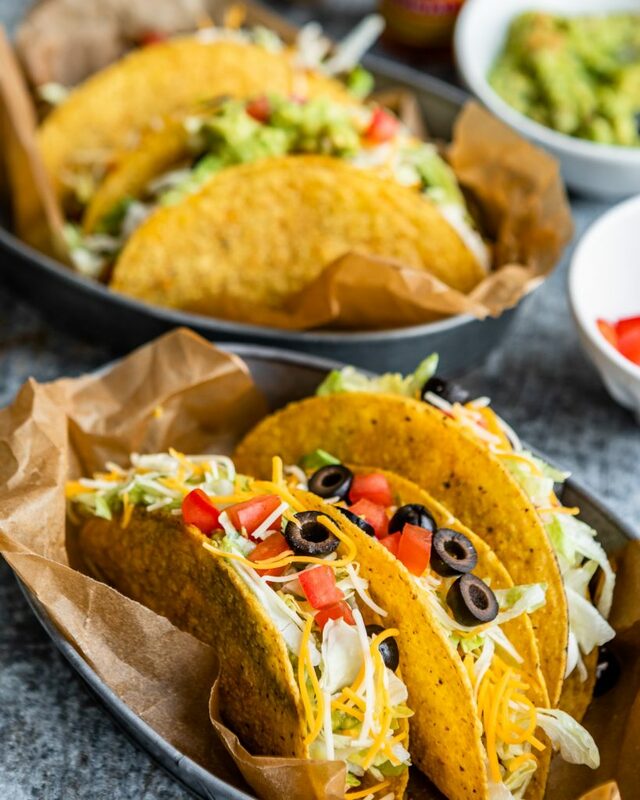 And then go to town and top your vegetarian tacos high with shredded lettuce and cheese (dairy or vegan), diced tomatoes, olives, sour cream, guacamole, salsa, and hot sauce. 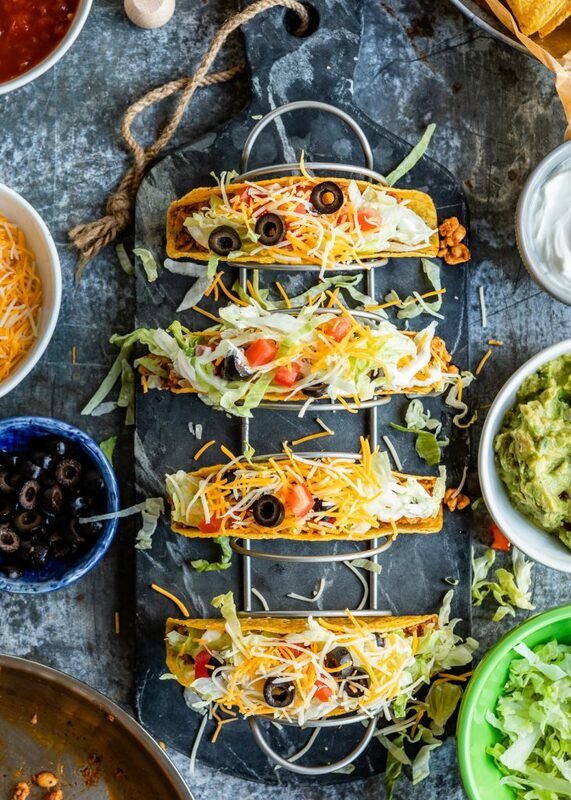 If you miss the tacos of your childhood, you'll love this vegetarian recreation. Adapted from Betty Goes Vegan. Pour the tomatoes into a large bowl and mash them a bit with a fork. Stir in the coconut aminos, then add the crumbled tempeh and toss to coat. Let the mixture sit for 5-10 minutes to marinate while you gather the remaining ingredients. Heat the olive oil in a large skillet over medium-high heat. Add the garlic and spices; cook until fragrant, about 20 seconds. Pour in the tomato and tempeh mixture. Cook, stirring often, for about 5 minutes, or until the tempeh is warmed through. Season to taste with salt and pepper and remove from heat. 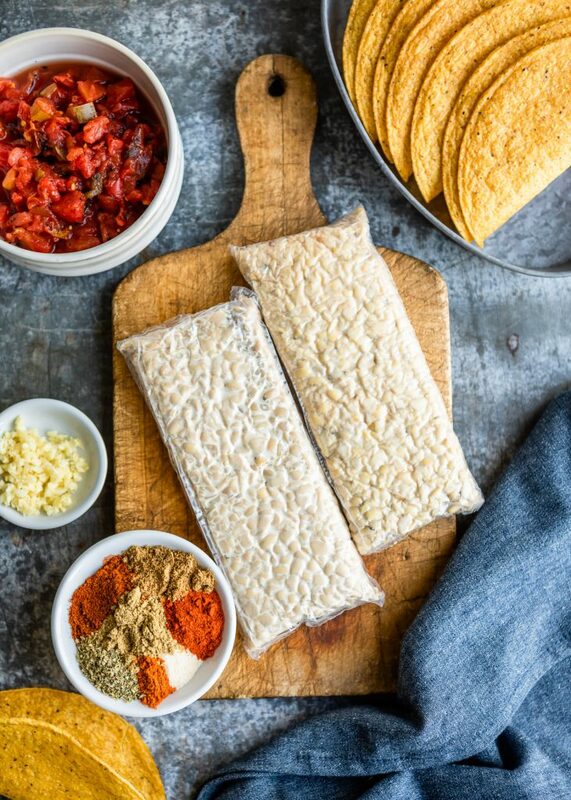 Divide the tempeh mixture into the taco shells and top as desired.